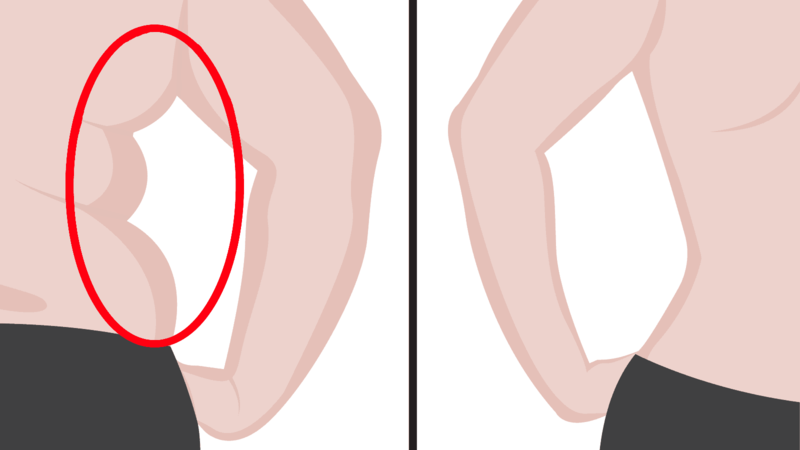 Are you worried about back fat and bra overhang? If you are, you would be surprised to hear that you’re not the only one! 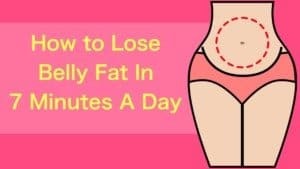 While there are many exercises that burn fat overall, certain exercises that target back fat are probably what you need to lose bra overhang. Many people think that back fat is easy to ignore because, unlike other types of fat, it can easily be covered up with clothes. But it’s really not that easy! Back fat causes a lot of uncomfortable sweating, a feeling of heaviness and sometimes even pain in your lower back and shoulders. So, it’s far from just a cosmetic problem, because it can even be detrimental to your health. But how does one lose weight from one’s back? Well, it’s not as simple as it sounds. Unfortunately, we can’t just tell our body where we want to lose weight. With the back, it’s all about strengthening and exercising the right muscle groups so that the food you eat doesn’t turn into calories but into muscle instead. And when that happens, you’ll see the fat start to melt away! Here are five exercises you can focus on that will help your back muscles strengthen and will put you well on the way of getting rid of that back fat and bra overhang once and for all. Perhaps the most obvious one and, unfortunately, the hardest one, as it requires so much upper-body strength. The key to becoming good at pull-ups is exercise, exercise and more exercise. Even if you start off being able to pull yourself up from the bar only a minimal amount, don’t give up. Find ways to make pull-ups easier and move slowly and gradually to the full-on, palms-away pull-ups that you’re seeing everyone else do. Some gyms have an assisted pull-up machine and you can always ask for advice on how to use one. Even if it looks big and scary, it will make pull-ups seem much more achievable than you probably thought they were! Another very popular one, and one that takes a long time to master, push-ups are normally lauded as a great chest exercise, but they strengthen muscles in your back too. A lot of people don’t know how to do a good push-up. Make sure your hands are wider than shoulder width apart – putting them at shoulder width is probably the worst thing you can do. To make sure the focus falls on your back, focus on the downward movement. Hold yourself down at the bottom for about three seconds. If you integrate this simple exercise in your routine, you’ll be surprised at the difference it makes for your back fat. This is one of the best anti-back fat exercises you can do at home as it doesn’t require that much equipment at all – just two dumbbells. If you don’t have these, two bottles full of water will also do. What you do is you spread out your arms at shoulder level and you squeeze your shoulder blades together a few times. Then you lower your hands back down and repeat. This exercise is great not just for burning back fat, but also for generally managing your core strength. Keep your head in line with your spine, just to make sure that the exercise is as efficient as possible. This exercise is a great replacement for a rowing machine if you don’t have access to one. Using two dumbbells – or objects of a similar weight – make a rowing movement from your thighs towards your chin. Make sure your elbows extend as much as possible and feel your back flex from the movement. Keep the dumbbells as close to your body as you can, because that makes the exercise all the more effective. Remember that the main movement needs to come from your elbows, because that’s controlled by a muscle all the way in the middle of the back. By working that muscle, you’re gaining the necessary muscle tone to get rid of that back fat and bra overhang as soon as you can. If you’ve ever been to a gym class, you’ll have heard of the dreaded plank. However, this isn’t just any plank exercise – this one makes sure that the muscles in your back get a workout as well. By raising one of your arms during the plank, you’re helping your body find its center and develop its upper strength. As we mentioned before, getting rid of back fat is all about developing muscle. What better way to do that than by using the plank exercise? Positive thinking is key when it comes to dealing with back fat. When you stay positive, you will be inspired to keep trying new things to help you reach your weight loss goals. Exercise and proper diet will get you a long way down the road to being a healthier, happier you!